On the afternoon of March 2, 2005, two civil bailiffs went to the farm owned by James Roszko to repossess a truck which Roszko had purchased, but on which he had not made any payments. They arrived around 3:00 pm. There was a metal gate blocking the road into the farmyard. When Roszko saw the bailiffs, he released two large aggressive Rottweilers. The bailiffs decided they should call the RCMP. The officer who responded to the phone call warned them not to go onto the property until the RCMP arrived. Roszko had a criminal record with violent and sexual offences, and was subject to a firearms possession prohibition. 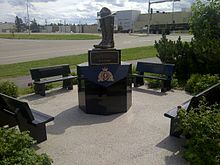 He was known to the members of the Mayerthorpe RCMP Detachment. The Mounties investigated the sources for each of the guns. The Heckler & Koch semi-automatic had been legally purchased by a person in Mayerthorpe in the early 1980s, who likely sold it to Rozsko. After changes to firearms laws in 1995, the Heckler & Koch rifle was arbitrarily classified as a prohibited firearm. The pistol was a Beretta 92 FS, which was a restricted weapon. Roszko had purchased it in Utah in 1993 and apparently smuggled it into Canada. The .22 rifle and shotgun were legally imported into Canada and were not restricted weapons. The three rifles found hidden in the seed-drill all had been stolen from a location in Barrhead in 1997. Roszko had never had a firearm registered to him. The CBC program the fifth estate produced two documentaries about the killings. The first one, entitled "A Hail of Bullets", aired on December 7, 2005. The documentary suggested there were discrepancies in the RCMP account of the shooting. Following the 2009 guilty pleas and sentencing of Cheeseman and Hennessey, the fifth estate did a second documentary, entitled "Collateral Damage", which aired on February 4, 2009. It included an interview with Hennessey. He now denied some of the material in the Agreed Statement of Facts which had been used in the sentencing hearing in Queen's Bench five days earlier. In the interview, Hennessey said that he did not know about the police search of Roszko's property, and that he had no idea Roszko had intended to attack the Mounties.